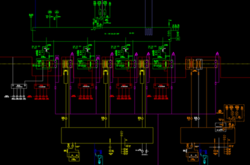 CAD Outsourcing offers the beautiful visualization Electrical Engineering Design Services and Electrical Diagram Services for helping a Electrical Engineers, Electrical Equipments manufactures, Electronics service providers etc. With our vast industrial experience in domain, we are engaged in providing Electrical Engineering Design Service. This service is highly demanded in the market for its usage in electrical engineering for designing purpose. We have hired technicians for executing this service as per the needs of customers. Moreover, we provide these services to the customers at industry leading price. Specification for PCC & MCC. 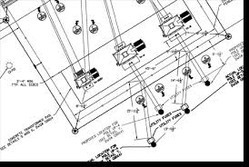 - Earthing and Lighting layouts. - Cable sizing and layout. Design and Engineering is concerned with the efficient and effective generation and development of ideas through a process that leads to new viable and profitable products. The WEES Team conceptualizes and evaluates ideas, by adopting a more systematic approach. We pay close attention to the process of designing and developing. So, get inspired and be ready to perspire for a bright career in Electrical engineering with CRB Tech. CRB Tech offers a 100% placement guarantee program in the Electrical Designing domain.